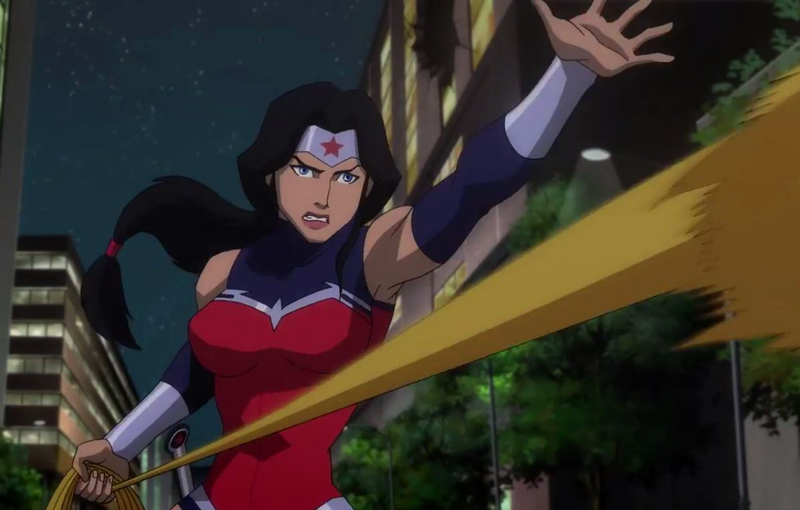 She's Fantastic: Justice League: War WONDER WOMAN! 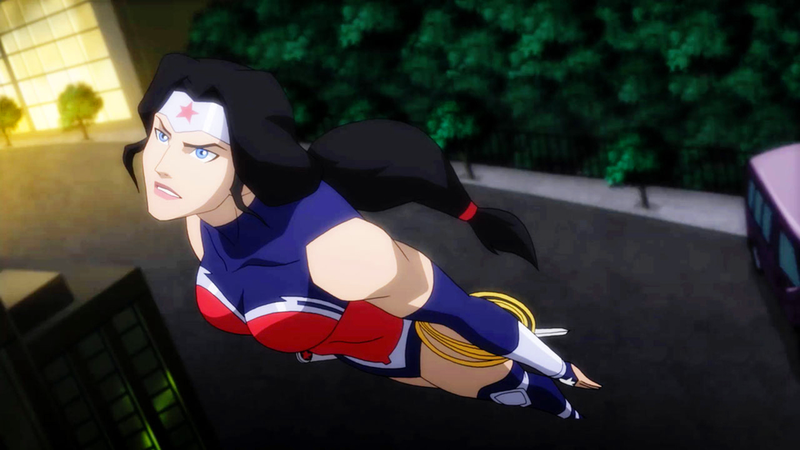 Justice League: War WONDER WOMAN! DC Collectibles is proving itself to be an absolutely amazing company. Sure, there have been terrific toys lines in the past that have spanned years and produced hundreds of figures, but something that DC Collectibles has really impressed me with is the variety of styles and genres they are willing to produce. The comic style figures are arguably some of the best collectors toys on the market. Their video game figures are insanely popular. The live action figures from Arrow and Flash look amazingly well made. And now they're dipping into the "animated style" market with these Justice League: War figures (as well as upcoming figures for Batman: The Animated Series and Son of Batman). What's impressive about these figures is that they are in a 6-7" scale that is pretty much unheard of for animated figures. 99% of of these toys are usually in a 4" scale all their own. This Wonder Woman stands out with her unique costume and exaggerated proportions. Truly Amazonian! Let's check her out below! The sculpt by Jack Mathews is fantastic. I think it's definitely true that the simplest designs (like these animated ones) are the hardest to capture in 3-D. It's amusing though to see the exaggerated features in 3-D and realize how odd they are. In this case it's her extremely long thighs. I didn't even notice them in the movie, but in toy form they really stand out. 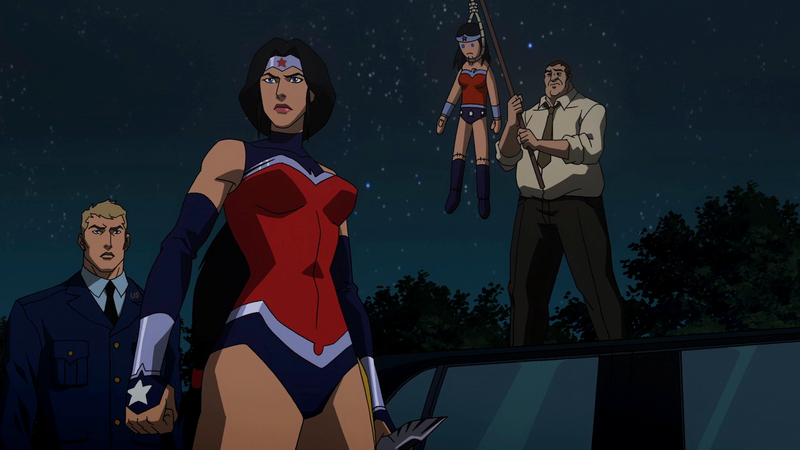 Wonder Woman comes with a single accessory of a short sword. Her trademark lasso is permanently attached to her hip. 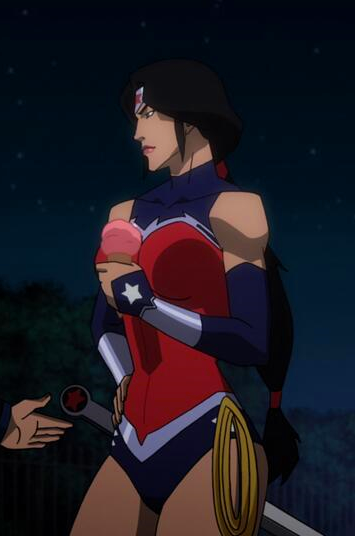 Here are some stills of Wonder Woman in the Justice League: War movie. Justice League: War is the 18th original animated movie from DC Comics but certainly not the last. And now that we're receiving larger-scale action figures based on these films, I'll be paying much closer attention. One thing to watch out for when buying her in person is the masking of the silver paint. On several figures I've seen, the tiara looks off-center or the eagle motif across her chest is askew. I didn't see any problems with the beltline however. Just keep an eye on it. Here she is with the 2009 DC direct JLA Boxset Wonder Woman (Adam Hughes) and the DC Direct Wonder Woman (Terry Dodson) from Wonder Woman Series 1 (2007). She is quite sweet. I think I might have enough WW to last me for awhile. But thanks for the quality control advice! I'm super excited now that we've solicits of that new Mera figure... seemingly using the same buck. I want a whole mini collection of 6-7" scale animated ladies! I don't like this figure at all. Her head is way too small. The added details would be nice, but I think they are deliberately trying to keep the prices cheaper on these cartoon-based figures. They are about $5-7 less than regular DCC figures. Plus now they can reuse the body (like they already did with Mera). Hopefully there's a Batwoman for the next movie (Bad Blood)!